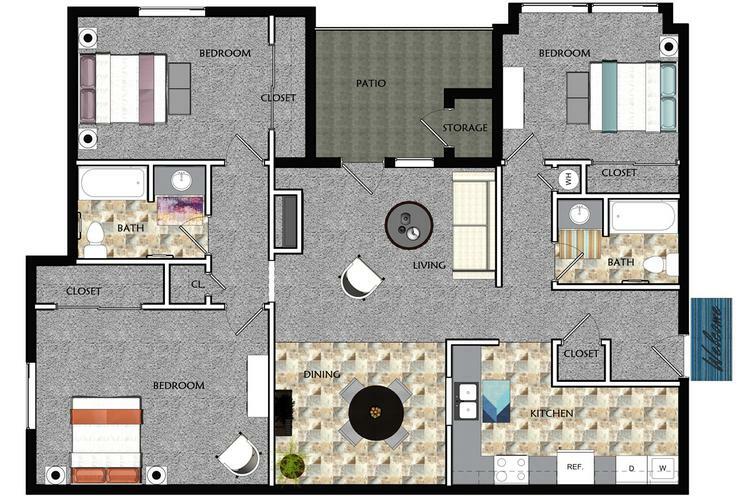 The Preserve is our extremely popular three bedroom two bath floor plan that offers the conveniences of apartment living with the comfort of home. Enjoy your new home complete with an abundance of windows, full size washer and dryer (connections), ample closet space, a separate living and dining room area, and patios or balconies that contribute to the atmosphere of the floor plan and truly making it home for you and your family! The Manor 3 bedroom apartment in Shawnee, KS features almost 1400 square feet of living space plus a private patio or balcony with gorgeous French doors!! 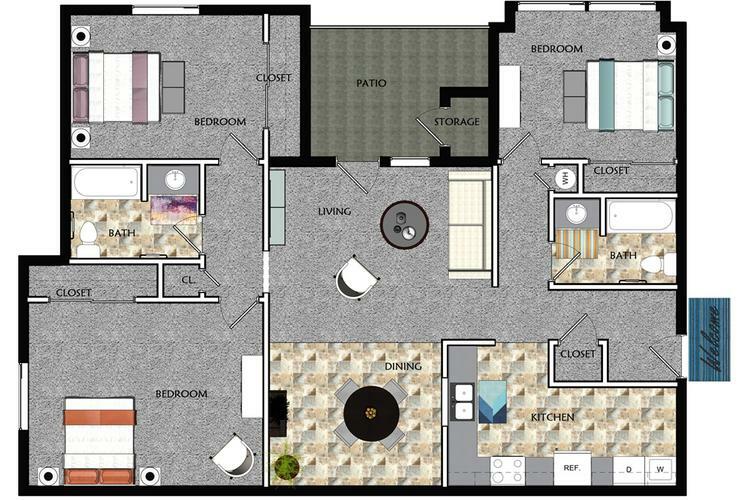 Be the envy of your friends and family when you entertain them in your palacious apartment home. Your apartment will offer over-sized living space, expansive closets, extra storage space, 2 full bathrooms and of course, washer and dryer. Fireplaces in select apartments.